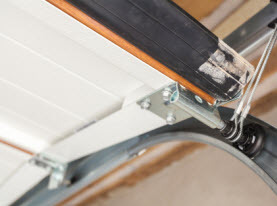 I recently was referred by National Home Warranty to a company named AAA Action Garage Doors, LLC, to replace a broken garage-door spring for my house. This is a testimonial both to National Home Warranty and to AAA Action Garage Doors. My claim was handled swiftly and courteously by NHW. I’ll admit I was a little wary, given all the horror stories you hear about home warranty companies, but in this case I was pleasantly surprised! I was extremely impressed with AAA Action. They were courteous and helpful on the phone, and their Technician Josh, who did the repairs, was friendly, articulate, patient, capable and quick. He looked me right in the eye when he explained the problem and I got the impression that he is an honest man. Since I was covered by my NHW policy, I only had to pay the deductible of $55.00. I’m not totally sure of the total cost that they billed to NHW….somewhere around $225.00 I think….which seems reasonable. Josh even answered questions posed to him by my next-door neighbor, who was equally impressed with Ron and the professional job he did for me. My neighbor said he will hire AAA Action to fix his door too. In my experience with AAA Action, I think they deserve an “A Rating” on Angie’s List. The garage door opener on our new home came with a remote control but it was also supposed to come with a keypad that was unfortunately just missing. According to our builder, the garage door supplier that installed the opener just closed up shop and moved out of Nevada! They couldn't be reached for any kind of garage door maintenance - now in or the future. So our builder reached out to AAA Action Garage Door (who now does all of their roll up door / overhead maintenance and garage door installations etc) and they came out and installed a keypad, quick and hassle-free. We haven't had any problems with the keypad which works well but if I do have a problem with my garage door or any component of it and need a garage door repair, I'm going to take the installer up on his offer to give him a call! OMGosh I have tears in my eyes because I am so thrilled that I called this company to fix my garage door. My garage door came with my home, so it's just over ten years old. In late December, it wouldn't close as I was leaving and one side actually fell off the hinges! I called my handyman in a panic who referred me to another garage door company. The owner and service person charged $150 for the service fee, which I agreed to since he was a referral. 28 days later, the same thing happened with my garage door. I called the same service person who waived the fee as he had given me a 30 day warranty. Less than two weeks later, it happened again. A neighbor recommended AAA Action Garage Door Company. I phoned them after hours and left a message. A very amicable woman returned my call and told me that the service fee would be $80. She also asked what the general issue was with my garage. She gave me a general idea of what my cost would be given worst case scenario, so I was prepared for that. I asked that the service person call me a half hour before arriving at my home, and I received a phone call at 3:30 with him arriving right on time at 4. David was a really nice guy...very friendly and pointed out what he thought was going wrong with my garage. I don't know the technical term but basically, the top bar that holds the big spring was lopsided. He re-bracketed it to find that one of the old screws wasn't even the right type of screw...ugh!! He lubed the brackets and repositioned the wheels that were falling off or had already fallen off, along with doing something with the cord thingy that helps to raise the door. My overall fee was a total of $80, which was for the service call. I was so happy, I had tears in my eyes. I can park in my own garage again and feel safe. Highly recommended! Outstanding, above and beyond service! Our garage door sensor eye was broken so we called AAA Action garage doors company and within only three hours they had an overhead door technician out to our house. He quickly fixed our safety sensor and pointed out that we had a half broken spring. He was great at explaining the potential safety hazards and replaced the broken spring as well as lubricated the rest of our garage door assembly. 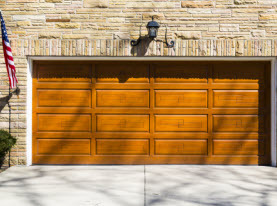 Our garage door is now like brand new - fast, safe and quiet without the hassle and negotiation of dealing with garage door sales and without the cost of a new garage door installation or replacement. I would recommend AAA Action garage door repairs to anyone in the Henderson area who might need any kind of garage door service. They are the best! 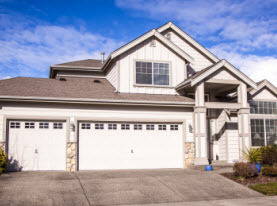 AAA-Action Garage Door Services are an excellent garage door supplier and service company. Our old garage door got severely damaged after an attempted break in. We called AAA-Action and the sales people were so friendly and helpful. The technicians were knowledgeable and worked around our schedule on the garage door installation. It was a shame but the old one was beyond repair. We highly recommend this company. Provided new remote door openers. Checked for possible door repair. Cleaned door chains and put in my light bulb to light up the gargage area.Visit went well. Very professional and helpful. They worked really fast and the price was reasonable. Their work was efficient. I would definitely recommend them to someone else. I would not hesitate to call them again. I was very happy with their work, and now the door is working great. AAA Action Doors are great! They always returned my calls promptly and answered all my questions. Our garage door stopped working right in the middle of summer. We weren't sure if it was the door or opener but we called a few garage door repair service companies and got varying responses - from not seeming to care to trying to aggressively oversell. AAA garage door suppliers were recommended to us from my neighbor. 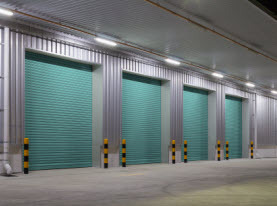 They had done an overhead door repair at his warehouse and right off the bat we noticed the difference - they answered all my questions and came out the next morning. They did a full garage door inspection on the door and opener and told us what it would cost. They said the priority was the door itself and for now the 12 year old opener was ok but would probably need to be replaced soon. Even though they weren't pushy and said that, we decided due to its age, to just replace everything. I forget the tech's names that did the garage door installation replacement but they were friendly and got the new door hung quickly. It not only looks great but keeps my garage much cooler in the summer. The new opener is as quiet as can be and tiny too. They even cleaned up all the hardware so none was left behind. We are very satisfied! Excellent garage door services. AAA Action was able to repair our garage door in the one visit they had all the parts and tools they needed in their truck. What a relief, thanks so much! Apparently this is the first review for this company. I can't fathom why others have not reveiwed this company. My 23 year old garage door finally gave up the ghost the other nite. I got quotes from some competitors ranging from 750.00 to 1,100.00 dollars. Both companies came immediately said I needed a new door. I expressed to them by budget was limited and a new door wasn't in that budget. A friend said contact AAA Action Doors. Contacted Josh (part owner)...Told him my budget was limited. He came out took one look at the door,..Said we got this it can be repaired w/o question..All that was needed was new metal bracing along the top and middle. He installed the metal bracing in less than 45 min....I had an operating door again..and saved a bunch of money.